Sal and her mother a picking blueberries to can for the winter. 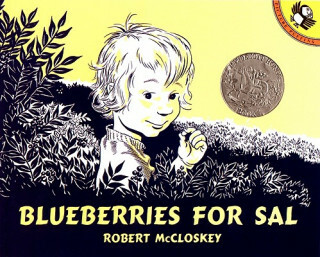 But when Sal wanders to the other side of Blueberry Hill, she discovers a mother bear preparing for her own long winter. Meanwhile Sal's mother is being followed by a small bear with a big appetite for berries! Will each mother go home with the right little one?